Consider yourself welcomed to The Way Out in the customary late-'70s, early-'80s video textbook style demonstrated/lampooned most recently in the Adult Swim show Look Around You. The Books invite, and prepare the listener from track one to enter into a different, strange, pseudo-scientific place. 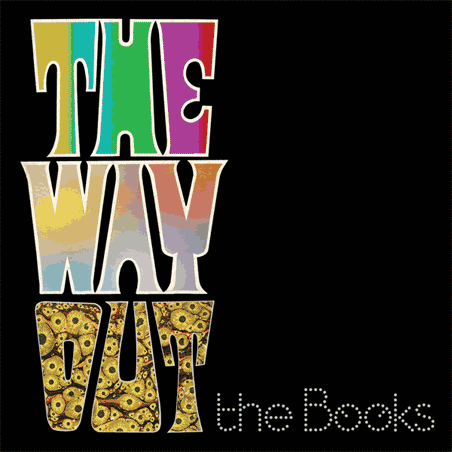 That's the mission statement of "Group Autogenics I," but even more, it's a track that welcomes The Books back from a five year hiatus of sorts. It's also the most complacent, straightforward track offered over the course of their new release. "IDKT" throws a creepy dollhouse menagerie of twinkling notes into the mix, with the sounds of delicate pirouettes and safe, well-planned dance steps. Leading into "I Didn't Know That," presumably the actual track, which operates in a sort of illustrious standard-rock-song-nervous-breakdown mode. "A Cold Freezin' Night" then features repetitive sampling of children promising acts of violence against one another. It's a call to all the bullying that exists in youth, and on through adulthood, and the chaos of the track bolsters the samples' claims. It's a disorienting melange to be sure, but one that guides the album into the beautiful, choral, near miraculous "Beautiful People." "Beautiful People" makes the first third of the album. It's a soft, lush and orchestral offering that roots the album, which to The Books' credit, has been primarily (and very clearly artistically chosen to be) chaotic and incongruous. "Beautiful People" is angelic in a completely non-religious way. It commands admiration, compassion and deep, thoughtful breathing. And it functions well to prime the ears for "I Am Who I Am" and "Chain of Missing Links," the latter of which calls back to the opening track, and also very intriguingly links (like in the song's title) disparate aspects of meditative recordings, textbook recordings, and runs on the idea that we're all not using all the resources available to us, mentally, physically, etc., because there is after all, more room for food. "All You Need Is A Wall" is the albums center, in track number and in a sort of sweetness, vulnerability sense. The track features Nick Zammuto at his vocal best, with an acoustic guitar, and the backing cello of Paul de Jong driving a sweet, contemplative track that feels like honey, and is inherently human among a sea of electronic-infused songs. It's a good thing, that sweetness exists, because the telephone call/answering machine message bombardment of "Thirty Incoming" is a polar opposite. It runs on a catchy beat, hooky guitar and cello pieces and messages left by various men via phone, the initial being the most unsettling/sweet. The Books force the listener to question what their "characters'" motivations are for this song (although it seems true with most) and guess the meaning/value of each sample. These aren't just telephone messages, their audio snippets of lives, Polaroids of moments. The Books give us a note from Gandhi, which lives easily up to the track title, then and load up the cavernous, plodding and gentle "We Brought The Flood" (a track that immediately reminds me of Plus/Minus in the quieter stuff from Self-Titled Long-Playing Debut Album). The album closes with solid work on "The Story of Hip-Hop," the folksy ballad "Free Translator" (a truly sweet song that draws the disc into a palatable denouement), and the closer "Group Autogenics II," which closes with the sentiments of self-help pseudo-science that opened the album. The notable sample states, "You are a work of art." And it couldn't be more true. And there's more food imagery... the idea of self-esteem as mutable. 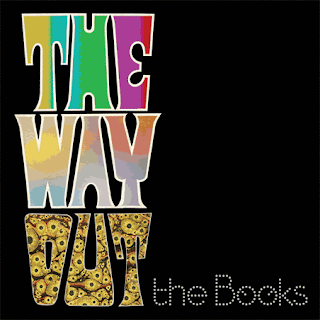 The Books provide something chaotic and diverse with The Way Out. The album is like a thousand disparate voices calling for attention at the same time, with music and cements it all a hopeful demand for self-growth. You'd be hard pressed to find another album in 2010 that asks for so much from the listener, but also readily prepares a palette of thoughts and colorful sounds to spread across the aural canvass. It's work to listen to, and a loving piece of art.